Military Medical Clinical Center of the Northern Region (Kharkiv) opened the Clinic of Otolaryngology and Ophthalmology after its modernization, as the Regional Media Center of the Defense Ministry in Kharkiv region reported. About 2 million hryvnias were allocated to major repairs and purchases of modern medical equipment for the military medical center. “An informal name “Euroclinic” became permanent for the renewed medical institution,” noted employees of the medical center. The Head of the Clinical Center, Viktor Polishchuk, stressed that Kharkiv region received 13 thousand military men with wounds, combat injuries or acute diseases during the ATO. 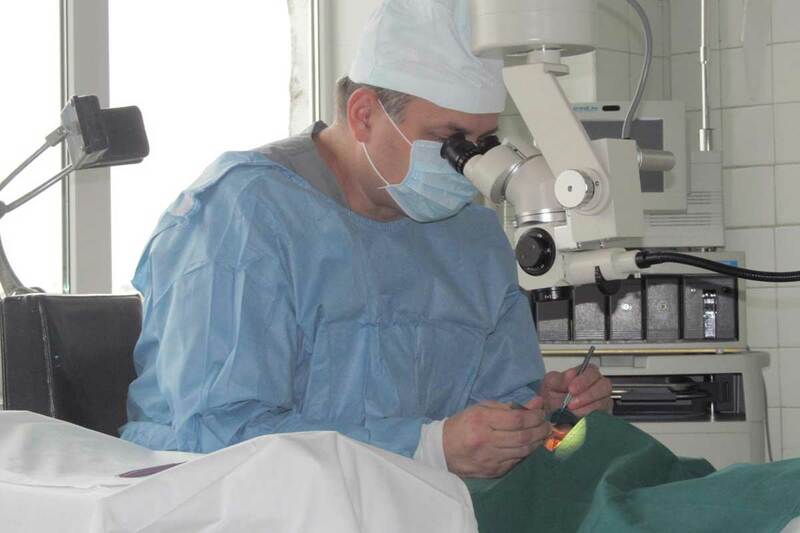 “1.5 thousand soldiers received military assistance of ENT specialists and ophthalmologists. The percentage of seriously wounded people is higher than in other clinics,” Polishchuk said. According to the head of otolaryngology and ophthalmology departments Alexey Furaev, 30 patients can receive inpatient treatment in the clinic, and the same number of military men can get out-patient treatment. “Owing to new equipment ophthalmologists halved the examination time of wounded soldiers and three times reduced the general course time of their treatment,” Furaev said. In 2014-2015, Military Medical Clinical Center of the Northern Region acquired the medical equipment and pharmaceuticals for 12 million hryvnias. Two-thirds of the amount was received from charitable funds, foreign non-governmental organizations, and volunteers.